This fun, flavorful fiesta grilled chicken can be dressed up and used in so many ways! Grilled chicken is a summertime go-to favorite for most of us. 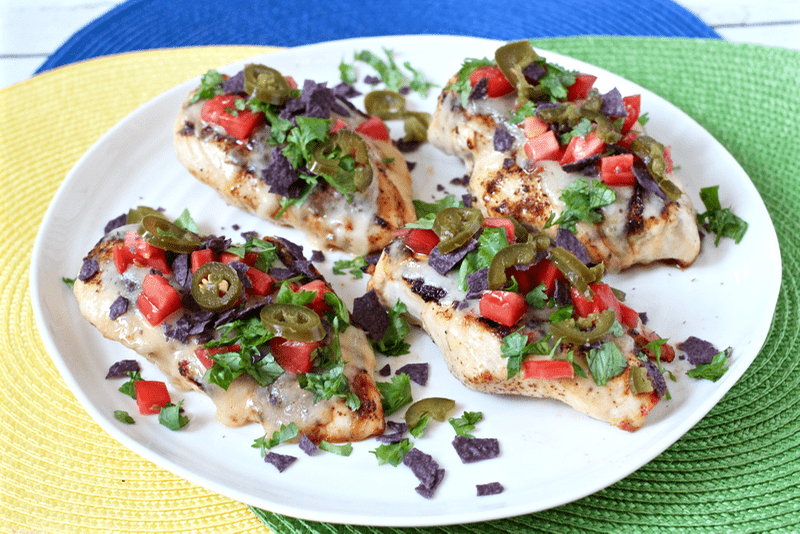 And this cheesy fiesta-style grilled chicken really kicks things up a notch! It’s so easy, too. 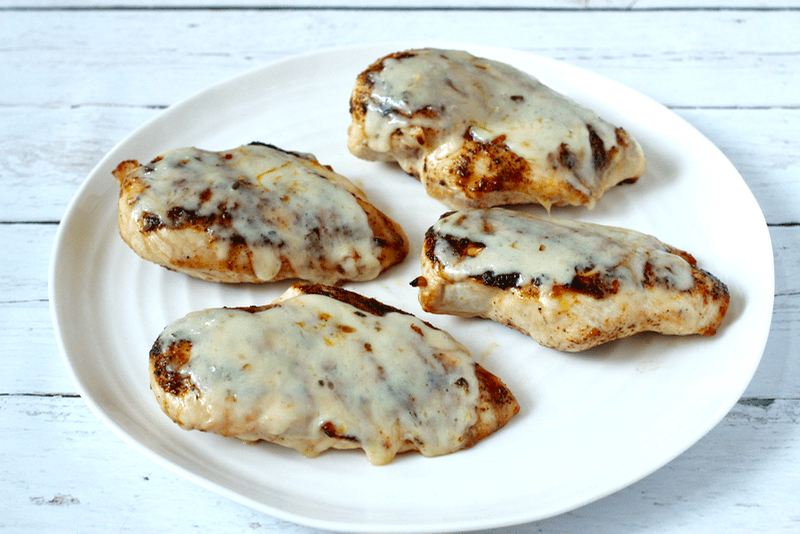 Just season your chicken breasts with taco seasoning, grill, add some cheese at the end and then top with your favorites. 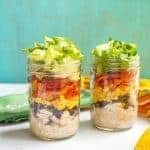 Avocado, salsa, cilantro, crushed tortilla chips, Greek yogurt or sour cream, jalapeno slices, olive slices – take your pick! 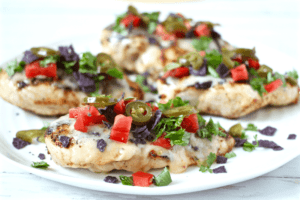 This chicken is great for a party because everyone can dress it up just how they want. 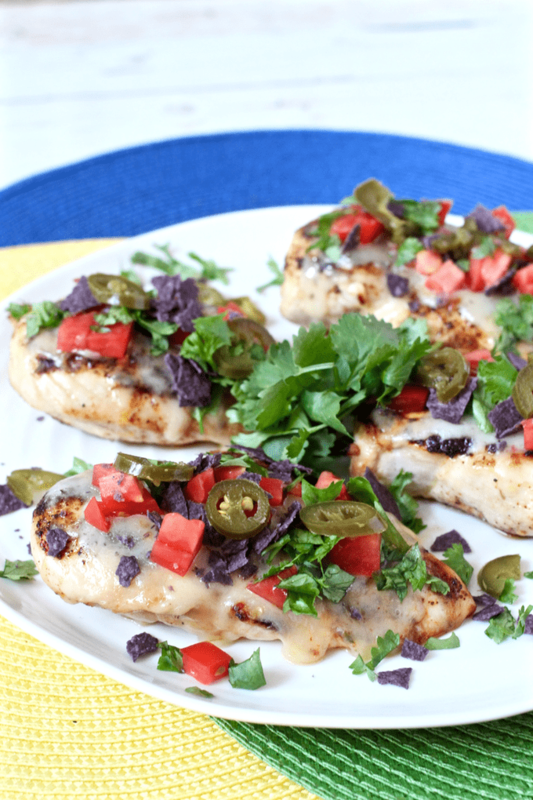 Create a little fiesta chicken bar. It works great for kids, too, for the same reason. Everyone can make it just the way they want. 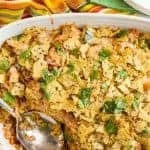 I like to serve this cheesy fiesta chicken with a super-quick sautéed corn and pepper salad and roasted potatoes. 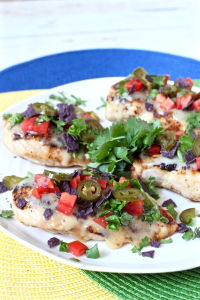 It would also be fabulous with my black bean and mango party salad. Or confetti rice. OK, it kinda goes with everything. 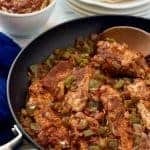 Plus, leftovers are awesome! 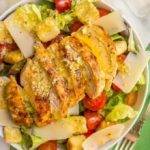 You can slice the cheesy chicken, throw it on some lettuce, sprinkle the toppings a bit more liberally and have an amazing salad. Or do the slicing thing and roll it up in a tortilla. So be sure to make extra. You will find ways to use it. Whatever you do, try this out soon. 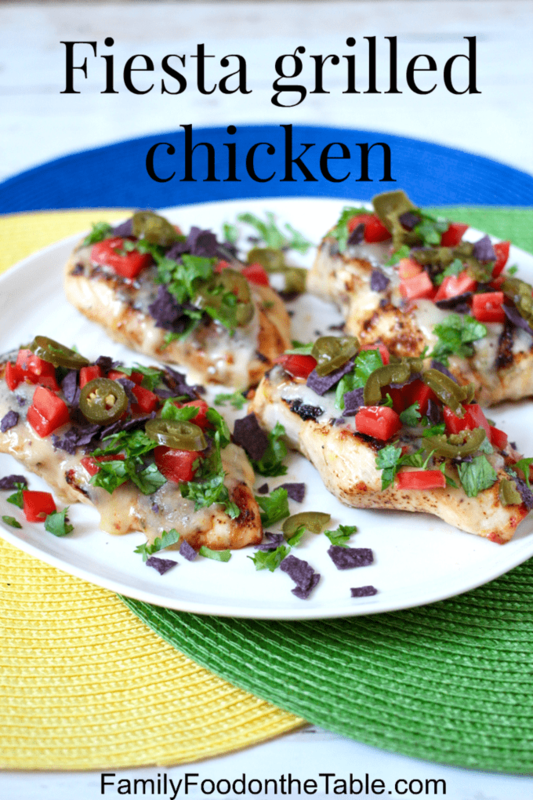 It’ll be your family’s new grilled chicken favorite! 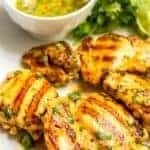 Rub both sides of the chicken breasts with oil and sprinkle with taco seasoning. 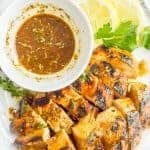 Grill chicken over medium-high heat for 10-15 minutes, flipping once. 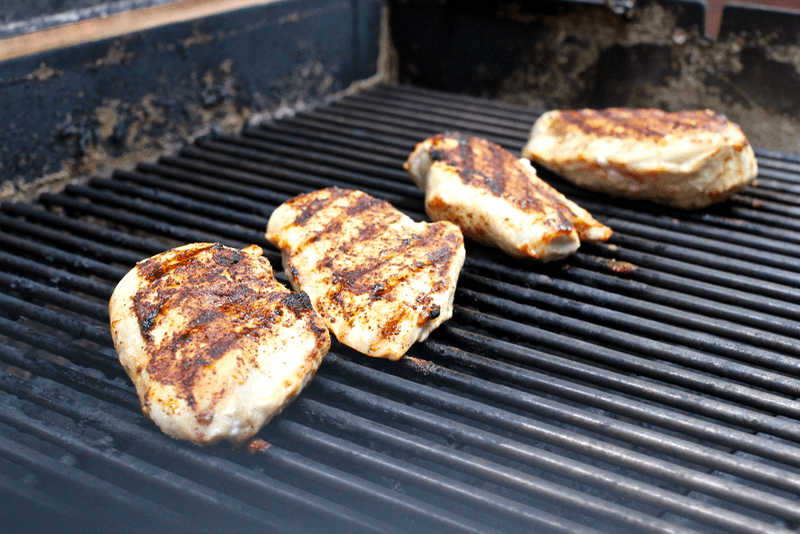 (Grill time will depend on how thick your chicken breasts are.) Meanwhile, get your toppings prepped. 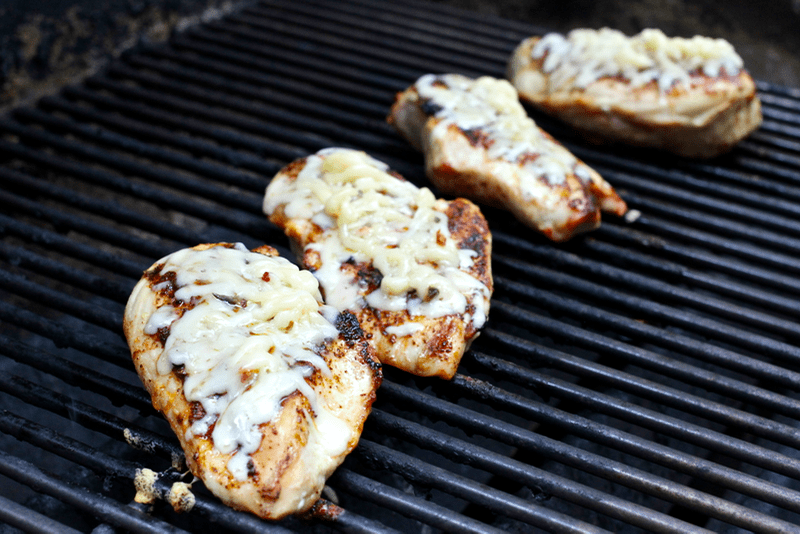 A couple of minutes before they are done, top the chicken breasts with the shredded cheese to allow it to melt. Pile on as much as you can for extra cheesy goodness. Once cooked, remove the chicken breasts from the grill and pile on your favorites toppings. **Do you wait for good weather to grill or do you fire it up regardless of temperature and rain?